Following the defeat of skekLi in the Grottan Sanctuary, the cave-dwelling Amri joins with fellow Gelfling Naia and Kylan on their quest to warn the All-Maudra of the Skeksis' plot. However, alarming news from Ha'rar sends the Gelfling rebels to the Silver Sea to seek aid from the Sifa maudra, Ethri. Their hope is for her clan to light a fire of resistance against the Skeksis. Along the way, Amri struggles to find his place in the daylighter world--and discovers that the corruption has spread much further than he thought. 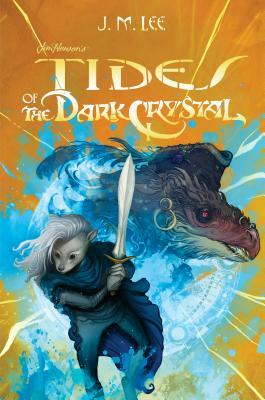 Time is running out for Thra--can the Gelfling clans unite in time to save it? J. M. (Joseph) Lee is a staff writer and creative consultant on The Dark Crystal: Age of Resistance, a 10-episode Netflix prequel series scheduled for 2019. He is a novelist, writing mentor, illustrator, and graphic designer with a background in linguistics and film. As a writer, he finds the most rewarding stories in fusion genre, from nostalgic historical fantasies to gritty sci-fi westerns. On the side, he enjoys dabbling in experimental short fiction and drinking a lot of coffee. Cory Godbey creates fanciful illustrations for picture books, covers, comics, editorial, advertising, animated shorts, and films.